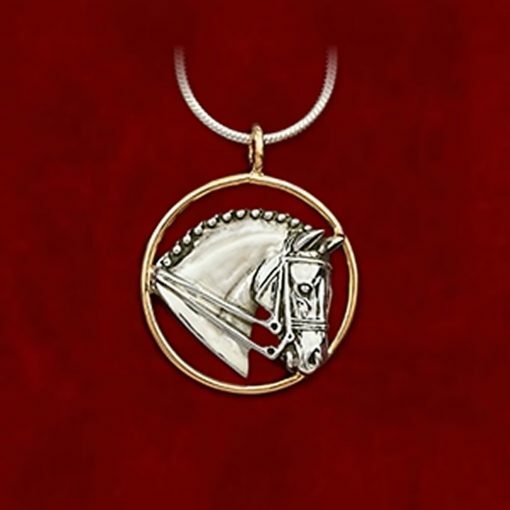 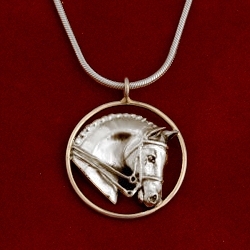 This sterling silver head with a 14k gold circle measures 14/16″ in diameter. 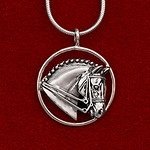 Available on a 16″, 18″, or 20″ sterling silver snake chain with lobster clasp closure. 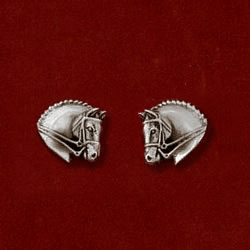 A great two tone look for the Dressage rider.